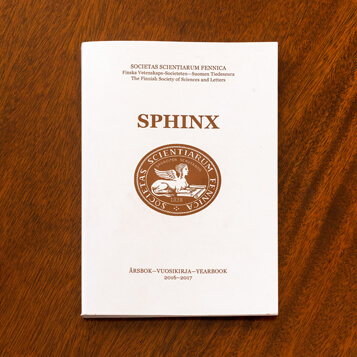 The Society publishes four series and the Yearbook Sphinx. In addition separate publications that are not part of a series are published. The publications are on sale in Bookstore Tiedekirja, Snellmaninkatu 13, 00170 Helsinki.